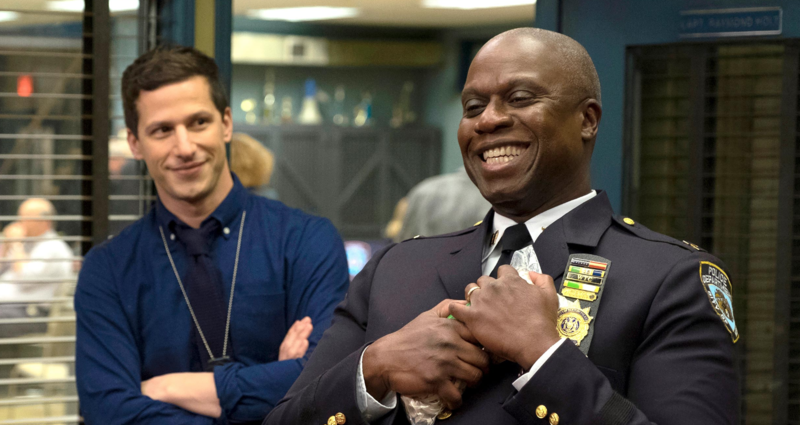 Brooklyn Nine-Nine is officially coming back for season six but this time on NBC. The show is produced by Universal Television and was created by Michael Shur (The Good Place, Parks and Recreation) and Dan Goor (Parks and Recreation). Shur and Goor were college roommates and both executive produced Parks and Recreation and the US version of The Office for NBC. On Thursday, it looked like Brooklyn Nine-Nine but a few networks and streaming services (such as Netflix, Hulu but both are said to have passed) expressed interest in picking up the series for a sixth season after a huge outcry, not just by fans but also celebrities such as Mark Hamill, Lin-Manuel Miranda and even Guillermo del Toro. Brooklyn Nine-Nine fans right now. Brooklyn Nine-Nine did air on City TV in Canada, there’s no word if that will be the case for the upcoming season. The thirteen-episode sixth season of Brooklyn Nine-Nine is set to air during the 2018-2019 television season. And if you have done so already, go start watching Brooklyn Nine-Nine, if you’re in Canada, you can watch seasons 1-4 on Netflix, with season 5 coming on May 21st. If you’re in the US, you can watch Brooklyn Nine-Nine on Hulu. And in case you need some convincing of why you need to watch the show, check out this article by The Washington Post.